Stomach Intestinal Pylorus-Sparing Surgery (SIPS) is also known as the single-anastomosis duodenal switch. SIPS works by reducing the size of your stomach and by having your food bypass part of the digestion process. Weight loss results are excellent due to the combination of restricted portion sizes and malabsorption. During the SIPS procedure, a large portion of the stomach is removed, similar to the gastric sleeve surgery but leaving a slightly larger stomach than the standard gastric sleeve. Basic stomach function remains the same after SIPS. 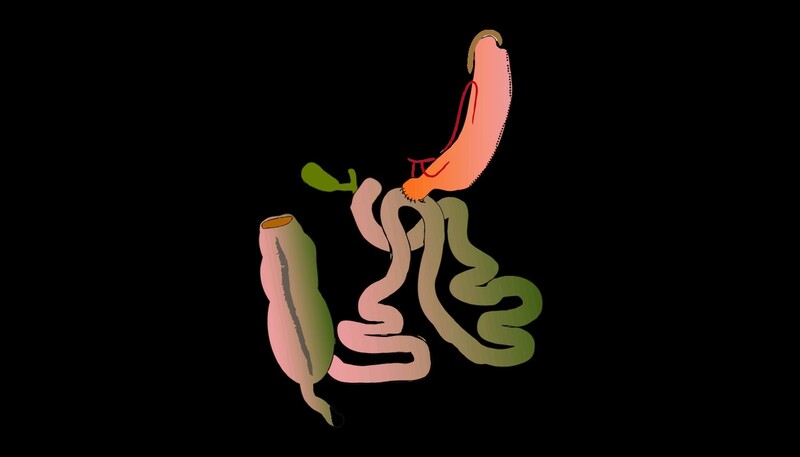 After removing part of the stomach, the intestines are then rerouted so that food will skip over a portion of the small intestine after leaving the stomach pouch. Roughly half of the small intestine is bypassed, which means you absorb less calories from the foods you take in. The SIPS procedure is similar to the gastric bypass surgery, except that with SIPs, food passes through the pyloric valve and with the gastric bypass, food skips over the pyloric valve. The pyloric valve controls how quickly food leaves your stomach and enters the small intestine. Preserving the function of the pyloric valve allows you to achieve better control of blood glucose and helps you absorb more nutrients from the foods you eat. Also, because the body is better able to break down food, you are unlikely to develop significant food intolerances following SIPS. Also, the connection in the SIPS (intestine to intestine) is associated with a much lower chance of strictures or ulcers as compared to the gastric bypass. One year after having the SIPS procedure can result in more than 80% of excess weight being lost. The SIPS procedure leads to drastic improvement or resolution of all major co-morbidities, such as diabetes, hypertension, and obstructive sleep apnea. The procedure is also likely to reduce GERD, gastroesophageal reflux disease. The SIPS procedure is able to combine many benefits of both the gastric bypass and the sleeve, but often delivers more weight loss. However, SIPS is a more technically difficult surgery than either the gastric bypass or the sleeve. It is very important to have a well-trained, experienced bariatric surgeon, such as Dr. Patel and Dr. Reddy. Our practice is one of the leaders in Robotic Stomach Intestinal Pylorus-Sparing Surgery. Use of the robot for the SIPS surgery provides cutting edge technology, which improves post-op recovery and improves both feasibility and efficiency. Other names for the SIPS procedure include SADI and modified loop duodenal switch.